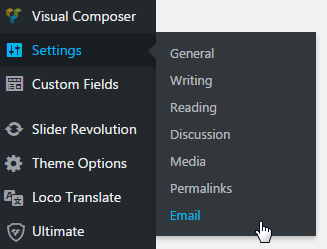 MyHome sends emails via default WordPress function WP_Mail. If you receive mails from your WordPress e.g. right after WordPress installation or when you change password, it means that your server will also work with MyHome. It is the same function. Mailer Mailer: Send all WordPress emails via SMTP.